Good company and great fun go hand in hand in this tent, which may also have to do with the excellent Paulaner beer. The Schottenhamel is a quite important tent of the Wiesn, as everything starts inside this tent. On the opening day of the Wiesn, at 12 pm on the dot, the mayor of Munich will tap the first keg and call out “O’ zapft is!” confirming that the tapping was successful. It is only after this that all other tents may begin to serve beer. When visitors look at the entrance of the Ochsenbraterei, where an over-dimensional ox is slowly turning on a huge spit, it is easy to understand what this tent stands for. The Ochsenbraterei does indeed offer an amazing variety of different oxen specialties. One look at the menu and many visitors will be awestruck at the great variety of dishes that can be created with an ox. Careful… the great atmosphere and excellent brass music can lead to extensive partying. Don’t be scared when the king of animals lets out an authentic sounding roar every couple of minutes. If you are searching for extraordinary hospitality and a bombastic atmosphere, you’re guaranteed to find it here! The counterpart to the Hofbraeuhaus located in the city of Munich is also a huge tourist attraction at the Wiesn. It is not uncommon to already find Maß glasses being raised to toasts and guests rocking back and forward to the music at midday. This is last but not least because Hofbräu guests come from all over the world. Americans and Australians feel especially happy here. The Paulaner Banqueting Tent also known as the Winzerer Fähndl, is easy to recognise by the six metre high beer mug that rotates on the spire. A further place to meet celebrities at the Wiesn, which is in great part due to the fantastic atmosphere in this cozy tent. “Gemuetlichkeit” (relaxed fun feeling) is a very important feature of the tent. Today the lovingly decorated PaulanerbrÃ¤u tent is known for its congeniality. Lots of regular guests meet here, including FC Bayern München players. The proprietor of the Augustiner-Brewery, Manfred Vollmer has built up something very special during the course of the past sixteen years: this tent is considered to be the friendliest of all at Oktoberfest. Families also feel very comfortable in this tent. The excellent Augustiner beer also contributes to ensuring a great atmosphere which often already gets into full swing in the middle of the afternoon! The slogan is integral to the Hacker-Festzelt philosophy: when surrounded by clouds and stars with a cold Maß (liter of beer) in the hand, you may feel as though you are truly in a “Bavarian Heaven”. Nobody gets the short end of the stick at the Wiesn. For those with no interest in pig’s knuckles and the like, Fischer-Vroni is the right place to go. You can enjoy an authentic grilled “fish on a stick” in one of the most comfortable tents at the Oktoberfest. Even the preparation of the fish is an experience: the fish are skewered on a stick, and grilled in a 15-meter long row. Regardless whether walleyed pike, white fish, or salmon trout your fish wishes will not go unanswered. The Heide family has solidly managed the tent “Braeurosl” for seven generations. The name of the tent originates from the daughter of the brewery owner Pschorr. Entertainment is of great importance in this tent. 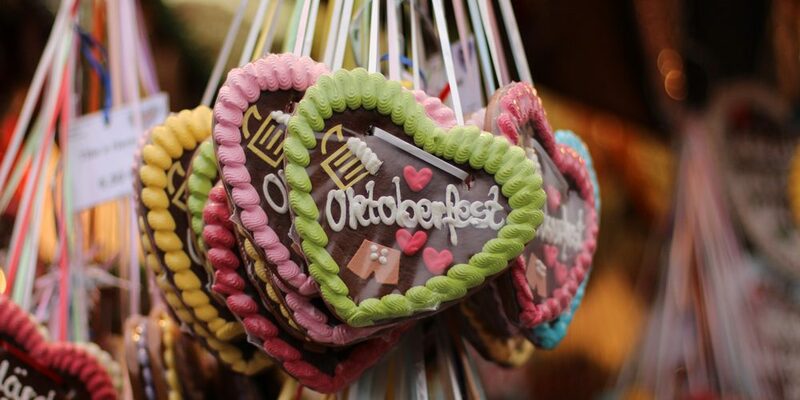 The tents own yodeler, who answers to the name “Bräurosl” during the Wiesn (in honor of Rosi Pschorr) ensures a good atmosphere and traditional Bavarian songs. Family Able’s Marstall tent is the big newcomer at the 2014 Oktoberfest. Marstall is the old German word for the royal riding school, built by Leo von Klenze in 1822. The Marstall is a stylish setting for celebrating, serving freshly poured beer but also fine wines; our menu offers regional specialities as well as sophisticated cuisine. Every evening live party music steps up the mood, and the party in the Marstall continues until the Oktoberfest closes at 11pm. No longer a secret: celebrities from all over the world, and especially those from Munich flood into Käfers Wies’n-Schänke. So it is no wonder since proprietor Michael Kaefer has created an extremely comfortable and cozy retreat in his comparatively small tent at the Wiesn. It is clear the gourmets are truly at home here and the delicious Käfer-roasted duck is something that should not be missed. Who says that you always have to drink beer at the Wiesn? The Wine Tent offers a selection of more than 15 different wines, in addition to different types of Sekt (sparkling wine) and champagne.